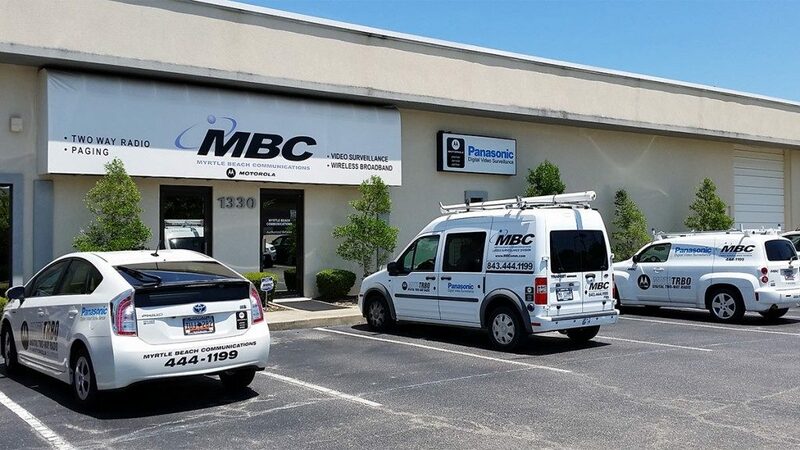 MBC has been a Motorola Partner, providing Mission Critical Motorola Services across the Grand Strand, from the East Coast Little River to Georgetown for the past 64 years. MBC’s customer base and broad technology offerings will strengthen MCA’s capabilities in video surveillance and managed services. Their unique capabilities bring additional product lines and skilled engineers to better meet MCA’s ever-growing customer needs. The acquisition of MBC is an example of MCA’s strategic efforts to expand its solutions portfolio, engineering teams, and customer service foot-print throughout the Southeast and specifically South Carolina. MBC’s success in serving customers along the coast of South Carolina and in the video surveillance systems market grew the attention of MCA and represents the 33rd site to join the group. MCA will continue to grow through the acquisitions of established Motorola Solution’s Partners. Myrtle Beach Communications, (MBC) is the area’s largest Motorola paging, two-way radio and certified video camera provider. MBC was founded in 1954 as an authorized Motorola Service Center and to this day remains the only authorized Motorola Service Provider on the Grand Strand. As a Motorola Service Center, MBC has maintained the leadership role in wireless communications services, security, and video surveillance for the Grand Strand for more than 60 years.